Last November I took you on a virtual tour of the Royal Botanic Garden in Sydney, Australia. Today we’re going to visit the Singapore Botanic Gardens. According to Wikipedia, “It is one of three gardens, and the only tropical garden, to be honored as a UNESCO World Heritage Site.” One visit, and it’s easy to see why. The gardens were first planted in 1859 and presently contain over 60,000 plants. The place is huge—it took us hours to walk from one end to the other, but then I had to stop and appreciate every plant (and bird) I passed. Heading to the store to buy a dozen red roses for Valentine’s Day? How cliché! Everybody gives roses. 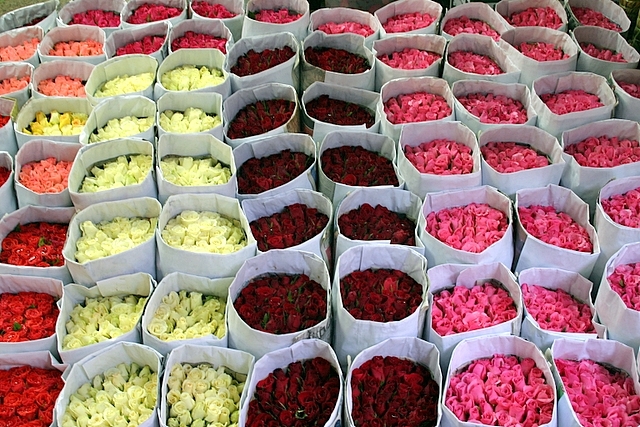 Unless you know your sweetie is a rose aficionado, don’t follow the herd—dare to be different! Break out of your routine and expand your horizons. There are a lot of other flowers out there feeling pretty unappreciated right now. I admit, I really don’t care that much for roses. I would much prefer a bouquet of carnations. They last twice as long—or longer. I think they smell better, too. 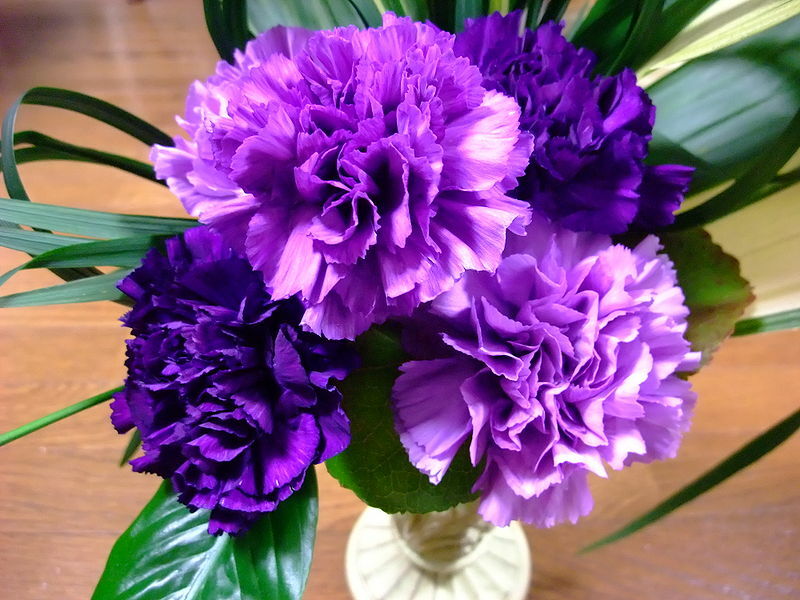 And there’s something… unassuming about a dozen humble carnations in a plain white vase that appeals to me. (My husband is delighted I like carnations, as they’re much cheaper, too.) You can go for red, pink, white, or a combination perfect for Valentine’s Day, but they come in yellow and orange too. Other colors (green is popular around St. Patrick’s Day) are artificially induced. Placing a white flower in a vase of colored water does the trick. Does chaffing wind have you pining for gentle tropical breezes? Do the empty branches of your shrubs and trees leave you starving for bright green foliage? Are you dreaming of the scent of gardenias and orange blossoms? You don’t need to buy a plane ticket. Just head over the Denver Botanic Gardens’ new greenhouse complex. Walk through the door and your senses are engulfed by luxuriant growth. Feast on the bright colors and fascinating shapes of plants from faraway places. Inhale the humid air that keeps these exotics healthy and blooming. Pretend you are far, far south of Colorado.